It is our mission to make you feel comfortable and radiant on your wedding day. We’re sure that the beautiful wedding dresses featured on this page will help you to achieve this. In this section of our website you will find the complete collection of dresses by Freja Designer Dressmakers that have been carefully crafted with energy and passion at our shop in Edinburgh’s New Town. Relax and browse through our collection of couture bridal dresses and take a look at the front and back of the designs before zooming in to marvel at the intricate detail of our beautiful dresses. We take our time to get to know you and what you want from your dress meaning that your wedding gown will be tailored to your taste and size. Our wedding dresses are unique and are individually made to match your requirements. We like to think of our wedding dresses as romantic building blocks. Like what you see on one wedding dress but prefer part of another ? We can mix and match to create a wedding dress which is both individual and personal to you. 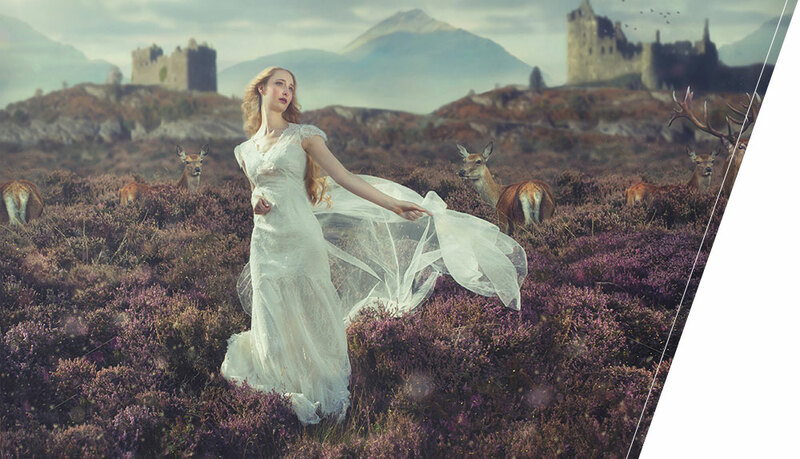 Edinburgh is one of the most beautiful and romantic cities in the world and our expert staff, who all live and work in the city, are not short of inspiration when it comes to putting together your dream dress. Why not come in to our Cumberland Street studio for an informal chat so that you can get to know us better and we can get an understanding of what you want from your dream dress. Alternatively you can give us a call on +44 (0)131 556 5407 and we can happily go though what we can do for you.